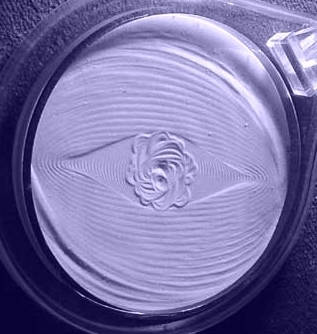 "Earthquake Rose", image shared by Rachel F.
Beyond words, allow this source force energy-in-motion (emotion) to flood each cell in your body, feeling wave after wave of Gratitude, immersing you in an energetic elixir of timeless NOW. Forget wondering how long is long enough - for Gratitude IS. As our gathering is WorldWide, this practice will create a daily wave of Gratitude rolling through hearts and minds alike. Beyond a static time, flowing with our natural rhythms, a unified connection through Gratitude will open and close each day. Here - we meet as One, in Love - with Gratitude. Plus! This practice will flood our bodies with serotonin and dopamine, assisting our ability to sustain a state of peace, relaxation and present moment awareness. This discipline may be the simplest, easiest most effective means of co-creating change through Gratitude. Moving from sleep to waking, waking to sleep, is a state change ... a phase transition. 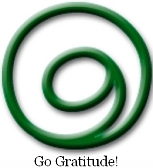 Using Gratitude One by One, to move through a state change, we will charge our collective consciousness with this energetic pattern - effecting a global shift as we vacillate between here and NOW.
" ... sudden transitions hold the key to a deep question about how nature works, of equal interest to scientists and philosophers alike: How does order emerge from disorder? ... Right at the transition point the system is poised to choose between these two phases, like a climber on a crest choosing which side to go down. Undecided which way to go, the system frequently goes back and forth, it's vacillations increasing near the critical point. ... In the vicinity of the critical point we need to stop viewing atoms (US) separately. Rather they should be considered communities that act in unison. Atoms must be replaced by boxes of atoms, such that within each box all atoms behave as one." Giving and receiving, giving and receiving....what a beautiful way to start and end the day! Here's to DAY 1 of THE WAVE! as it sweeps the world. What a Perfectly simple yet Powerful way to Unite! Reading this first thing in the morning filled my day with a deep smile and gratitude :) Thank You! And yay! I'm looking forward to these 42 days, and am infinitely grateful for each Moment, each new change and opportunity to sink deeper into Love and Gratitude! The magic moments of shift from conscious to unconscious and back hold great potential for peace, beauty, love and resonate with gratitude. Words are woven within the fabric of the wave and I embrace each of us heart to heart. Giving and receiving, receiving and giving. I read the first words and felt tears come. Feeling gratitude to be riding this wave with all of you and feeling the connection. What does it feel like to be grateful? Soft heart, flowing joy, let me become the vibration of gratitude. I don't know if I've ever let myself go there, I feel vulnerable. People out there, my name is Ian Porteous, help me learn to let go and feel grateful. I choose the best for all of us. Thankyou. I expect a shift of awereness by morning. Thank you Zoe Ann. That was beautiful. I have been on the gratitue wave for some months now and have been placing my hand on my heart before I go to bed and as I wake up. The evenings and mornings I forget to do so I don't feel as rested or calm. This simple act brings my mind, body and soul together giving the day such positive energy for me. Thank you for giving me this simple task to help me learn and love from each day. Thank you for a place where we can magnify the gratitude and raise the vibration of our Universe with love. Hi there! I've posted the opening event on our Networks (also http://csheals.ning.com) and I'm off to blog about it now! Muchas gracias, merci beaucoup, and expressions of gratitude every other language I can think of ;-) HAPPY WORLD GRATITUDE GATHERING DAY!!! Thank you for providing this forum for connection of like souls. Blessings to all. I'm in Costa Rica and I can totally feel the energy of gratitude. I will be apart of this movement of love Blessings to all souls. Especially those who choose to join this family. Thank you for creating a space where we can practice WE consciousness rather than the ME consciousness that has become such a drag. I am grateful to be among you and look forward to these 42 days and the miracles they will bring. I traveled to a very remote property today listening along the way to a message of gratitude on my car CD player. I finally found the property I was looking for and on the historical marker was a G sign very much like the gratitude sign we see on this site. I felt an instant connection to the ONE, all that is, at that moment. Thank You, Thank You! we can heal the universe so very quickly when we remind ourselves to do this! I am grateful to hear the call! I am grateful I have a friend who invited me here! I will reply in kind to the great call to gratitude! I remember choosing gratitude when another expressed upset and how powerful that was for me and how well that was received by the other! I know I have all things working together for my greater good. I also have feelings that don't appear to feel grateful and I will extend love there just as I have extended to others. I am grateful I have love that I can extend! I'm grateful for all the gratitude and blessings that come from this site. To bring together like minded souls and to remind us of all the special awakenings around us.